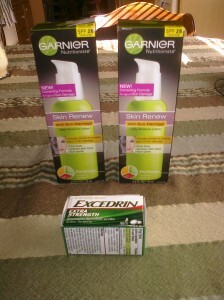 You are able to get a really fantastic deal on Garnier Products at CVS this week. 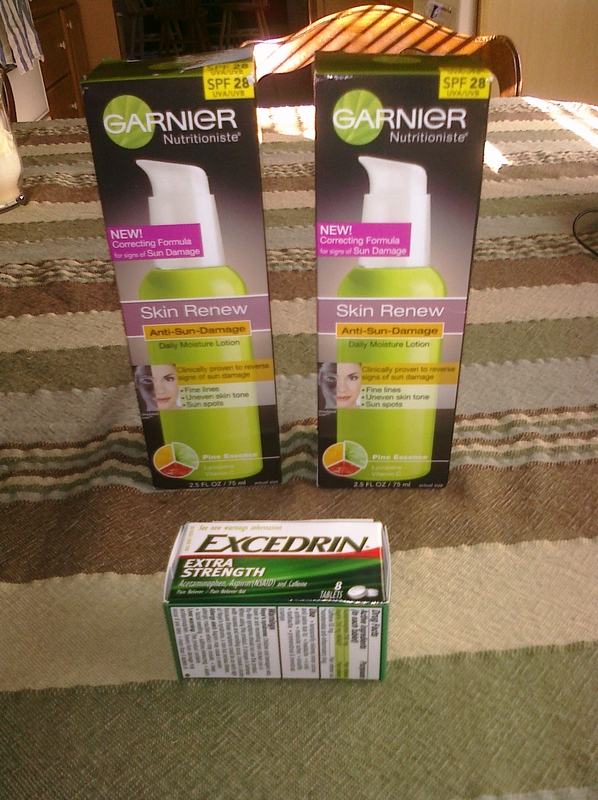 I used Garnier Nutritionist Skin Renew Daily Moisture Lotion every day. At around $14 for a 2.5oz bottle, I have thought about using something cheaper but this works great for me. It doesn’t leave my skin greasy, it doesn’t clog my pores, and it has an SPF 28 which is higher than most cheaper lotions and living in FL it’s important to protect your skin from the sun. The point is, this is a product that I am willing to pay a little more for but that doesn’t mean that I don’t still look for deals on it when I buy it. Everyone has products they can’t live without so keep your eyes open for great deals! That’s like spending $2.91 for all of the items! Note- I’m always trying to get as much free stuff as possible. When I go to CVS and Walgreens knowing that I am going to spend a certain amount of money I always look for items that are free after store dollars like the Excedrin was today. I didn’t spend any more money buying that item than I would have otherwise spent at the store. I used the store dollars I received towards my larger purchase because I was going to spend the money anyway. It simply allows me to get more for my money.